Hooo boy. Tomorrow is Valentine’s Day, and I am just now getting this post up. Of course you can run to the store right now, cussing me out under your breath, or you can just adapt the recipe for St. Patrick’s Day or Easter. Or…you can take a shortcut or two, using a store-bought pound cake and even (I can’t believe I’m saying this) canned frosting for the filling. 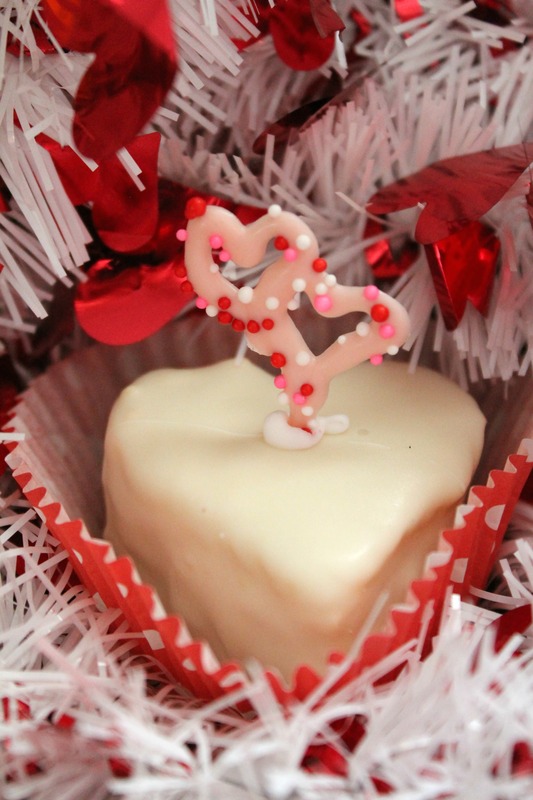 In a pinch you can skip the filling entirely; just cut the cake into cubes or hearts, dip in fondant icing, and decorate! Yep…Sara Lee works just fine, but there are more crumbs and more waste. 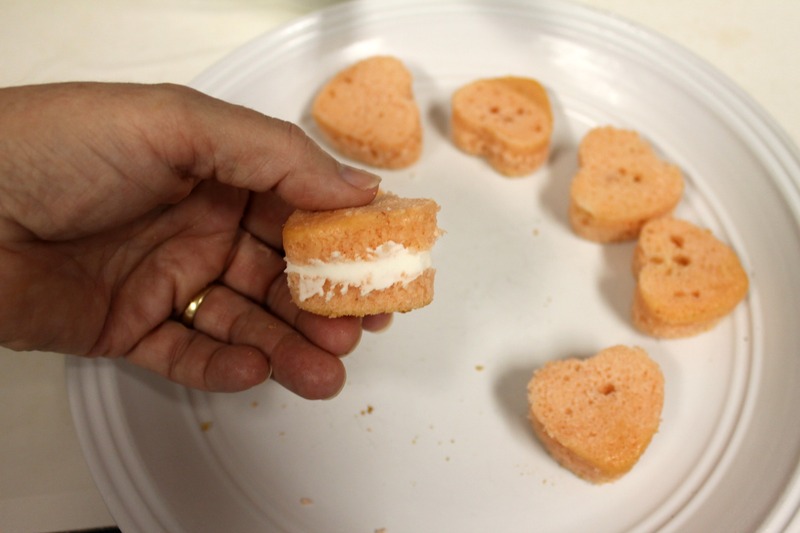 Note: if you cut shapes for your petits fours, they will be a little harder to coat smoothly; baking the cakes in heart shaped pans keeps them from getting crumbly around the sides. Either way, the freezer is your friend! 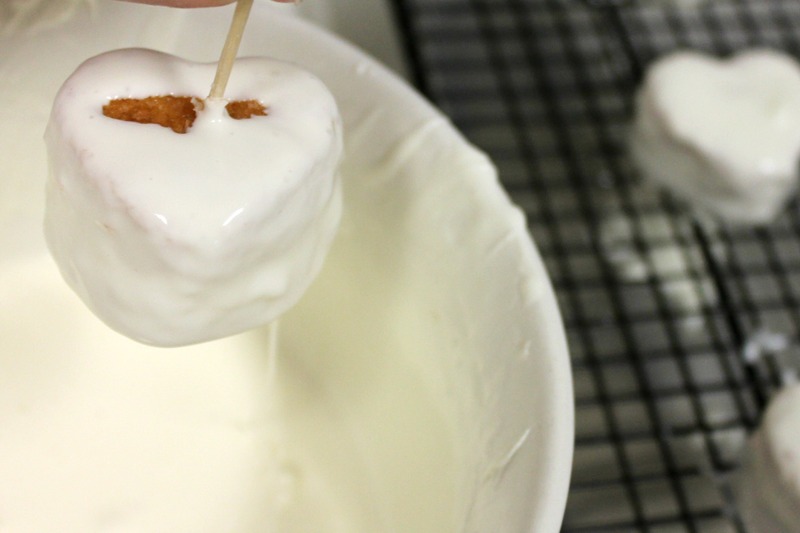 Freeze the little cakes before you slice and fill them, and then freeze them again before dipping. The white ganache looked lovely, but it didn’t have the “snap” I was looking for. 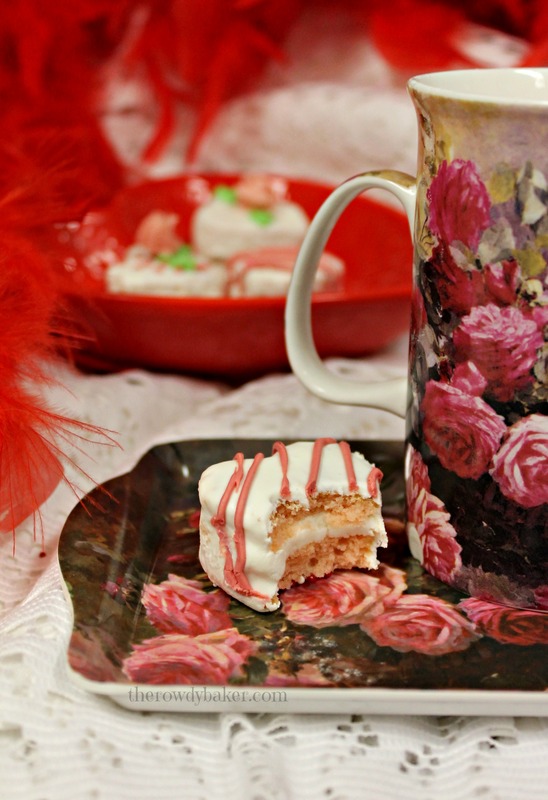 I used Wilton’s bright white candy melts for this, and wasn’t too crazy about the taste, but the pastries looked very pretty. If you aren’t after a firm shell-like coating, this would be a good option. Pretty and white, with fairly good coverage, but not firm enough for me. For the melted white chocolate, I used Ghiradelli melts. They taste so much better than candy melts, and I really wanted this to work for me. I added a little coconut oil to thin the chocolate for dipping, and it went beautifully. There definitely was a satisfying “snap” when I tried one (or two). But…the color is more ivory than white, and it just didn’t look as pretty. Nice and smooth, but ivory colored. The third time’s the charm, right? The poured fondant was just what I wanted. It wasn’t quite as firm as the melted chocolate, but it was very pretty, tasted good, and covered well. ***DING DING DING*** – we have a winner! The hardest part of this post is determining how much coating you might need. There are so many factors! The size of your pans determines how many pastries you will have to fill and coat. 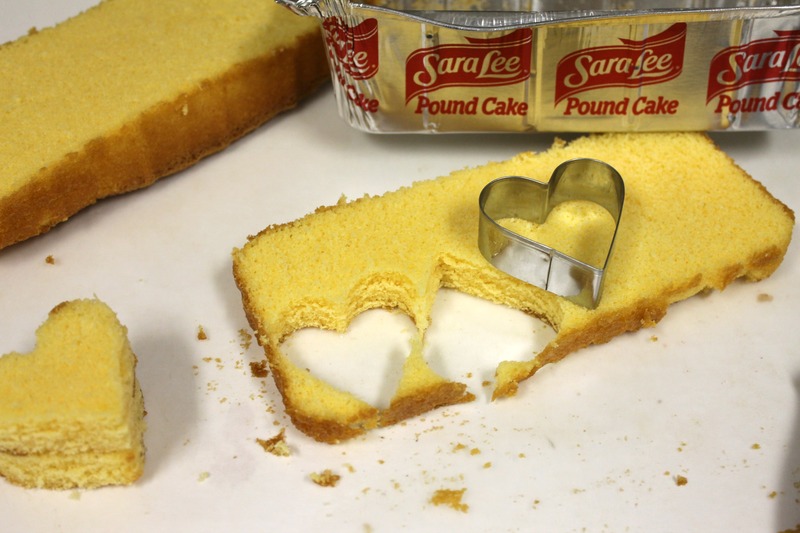 If you choose to buy a pound cake and cut it into shapes rather than baking your own, you will probably have a lot fewer petits fours to work with. I did my best, but you may have to adjust a bit, so it might be prudent to buy enough ingredients for a second batch if necessary. If you don’t need it, well…you can never have too much powdered sugar or white chocolate in your pantry, right? I used small silicone heart-shaped pans with 24 cavities in each. Filled approximately 2/3 full, my cake recipe made about 72 hearts. 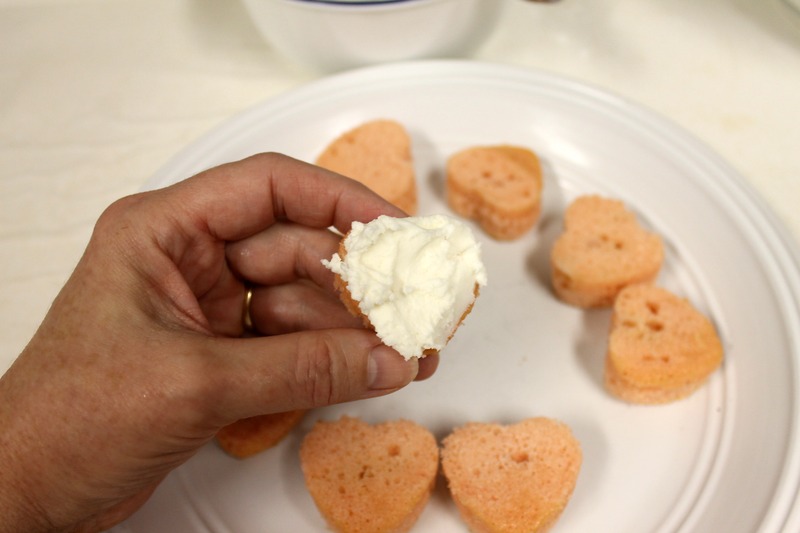 Traditional petits fours are approximately 1-inch cubes, so if you want the finished hearts as tall as they are wide, you may choose to a) use more filling, b) use two hearts for thicker layers, cutting off the domed top of each, or c) cut thin slices and make three layers. WHATEVER YOU DO, FREEZE THE CAKES BEFORE SLICING. It will make things go much more smoothly. Here’s the recipe I used, but any pound cake or sturdy, dense cake will work well. 1 teaspoon strawberry flavoring and a few drops of red food coloring. In a large bowl, beat the butter well until light and creamy - at least 2 minutes. Add sugar gradually and continue beating for 2 minutes. Add eggs one at a time, beating very well and scraping the sides of the bowl between each egg. Sift the flour, baking soda, baking powder, and salt together. Add the dry ingredients and buttermilk alternately, one-third of each at a time, beginning with the dry ingredients and ending with the buttermilk. Scrape the bowl well with a rubber spatula as you go. Stir in the flavoring and food coloring until combined. Fill the cavities of your pans ⅔ full. Lift and drop the pans a few times to settle the batter, or smooth lightly with a knife. Place the silicone pans on a baking sheet and bake for 15 minutes. If a toothpick comes out clean when inserted in the center of a cake, and the top has begun to brown slightly, the cakes are done. Place pan on a cooling rack for 10 minutes before turning the cakes out. For the filling, I used a couple of cups of fairly stiff buttercream icing, with a heaping tablespoon of strawberry preserves stirred in. Slice the frozen hearts (cutting off the domed tops so they are level), generously add filling, and press the two layers together firmly. Use a knife to clean off any filling that’s pressed out, spreading it in a thin layer around the heart if you like; it will act as a crumb coat. For a clean line, it’s important not to have filling bulging out the sides, or gaps where there wasn’t enough filling. Spread with a generous amount of filling. Smooth for a clean edge. 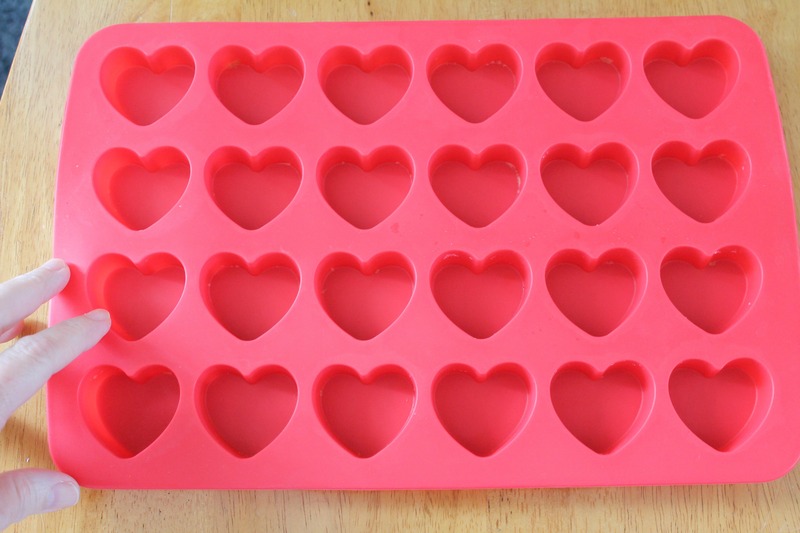 After filling the hearts, place them back in the freezer while you make the coating. For the MELTED CHOCOLATE COATING: melt 1 package (12 ounces) of Ghiradelli White Melting Wafers in the microwave. Begin with 30 seconds, stir, and then heat at 15 second intervals until most of the wafers are melted and just small lumps remain. Add 1 tablespoon coconut oil (or shortening) and stir slowly until the chocolate is completely smooth. If necessary, put the bowl back in the microwave for a few seconds. For the POURED CHOCOLATE FONDANT: place 1 pound powdered sugar, 1/4 cup light corn syrup, and 1/3 cup water in a medium pan over medium-low heat. Stir well until mixture is very warm but not bubbling. Remove from heat. (You could use it at this stage, as a poured fondant icing…but I wanted it whiter.) Add 1 package (12 ounces) of Wilton Bright White candy melts and stir until melted. This should be just right for dipping, but if it is too thick, add a little hot water and stir well. I had better luck dipping my hearts than pouring the icing over them. Still, you’ll want to use a baking sheet with a cooling rack (sprayed lightly with non-stick spray) over it to keep the coating from puddling up around each pastry. Dip, shake, turn over and slide onto rack. Repeat. 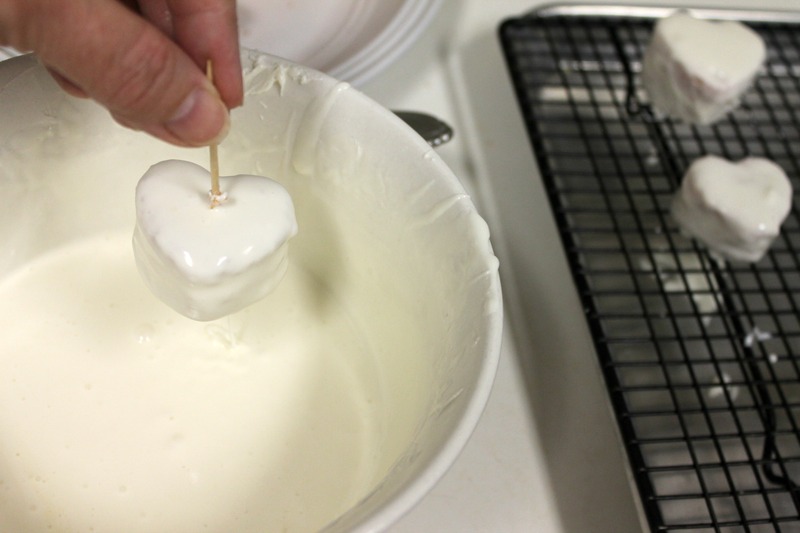 Poke a toothpick in one frozen heart and dunk it in the coating. Don’t try to completely cover the area around the toothpick; this will be the bottom of the petits four! Gently shake off excess, turn the heart over so you’re holding the toothpick like a flower stem, and use a fork to lift the heart off the toothpick and deposit it on the cooling rack to dry. Repeat many, many times. If you have trouble removing the petits fours from the cooling rack, slide a thin metal spatula under each one. No one will look at the bottom! Also, if you set the finished petits fours on a little bed of sprinkles before you plate them or put them in paper cups, the sprinkles will stick to the bottom for a pretty effect and fun texture. 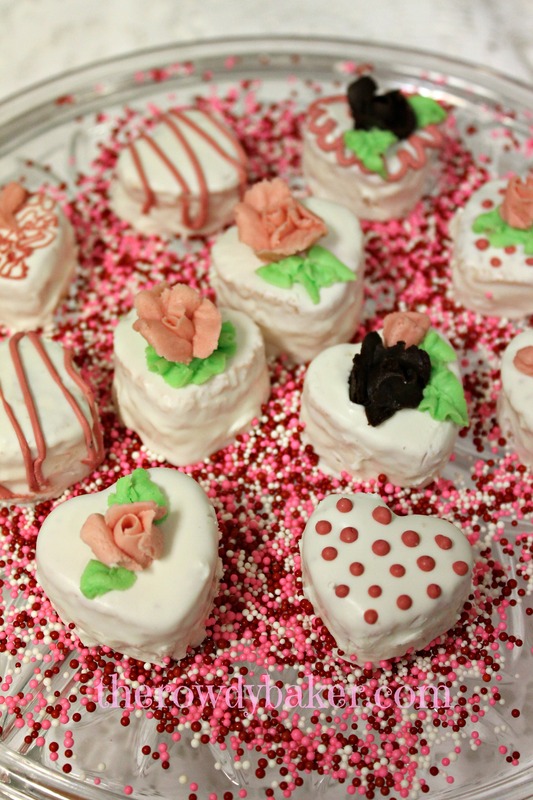 Decorate with conversation hearts, sprinkles, buttercream flowers, or chocolate designs. Store the petits fours in an airtight container at room temperature for up to 3 days.